The beauty of running an online business is that you don’t have to be physically present to make money. As a result, a lot of online entrepreneurs are able to create highly scalable businesses from anywhere they want. In fact, leveraging the Internet is how I’m able to run a blog, an ecommerce store, a podcast, an online course and an ecommerce conference all while working a full time job and playing with 2 cute kids on the weekends. I also run all of these businesses with very little help. In total, I have 1 trusted assistant who handles my podcast and video editing. And outside of my wife who runs the day to day for our ecommerce store, I’m pretty much a solo entrepreneur. Now I’m not saying that this is necessarily a good thing (the solo entrepreneur part), and most successful entrepreneurs often frown upon not outsourcing a good portion of their work. But my intention when starting my businesses was never to run a large team. And when I hear stories from other entrepreneurs about not being able to make money on vacation without a strong support staff…I can say based on experience that this is totally false. The last time I went on vacation, I made enough money relaxing in Hawaii that I could have paid for my entire trip 10 fold. Anyway, the reason that I can get by with so few resources is because I have learned a set of basic skills over the years that make me a more efficient entrepreneur. Here are the things that allow me to do what I do. Adobe Photoshop is by far the tool I use the most often on a day to day basis. Why? Because if you think about it, everything online is predicated on the use of images. Every blog post I publish uses multiple images. Instagram requires images. Any sales page or promo offer requires images. Facebook advertising needs images. If you do not know how to manipulate photos, you can not succeed online. Period! Images are even more crucial when running an ecommerce store because your photos often mean the difference between a sale and an abandoned shopping cart. Of course, you can outsource all of your image processing and a lot of entrepreneurs do this successfully. But running an online business is infinitely easier when you know how to quickly process your own photos. I also rely heavily on Photoshop as part of my outreach strategy. And I’ll often whip up special images in order to make myself memorable to new people I meet. 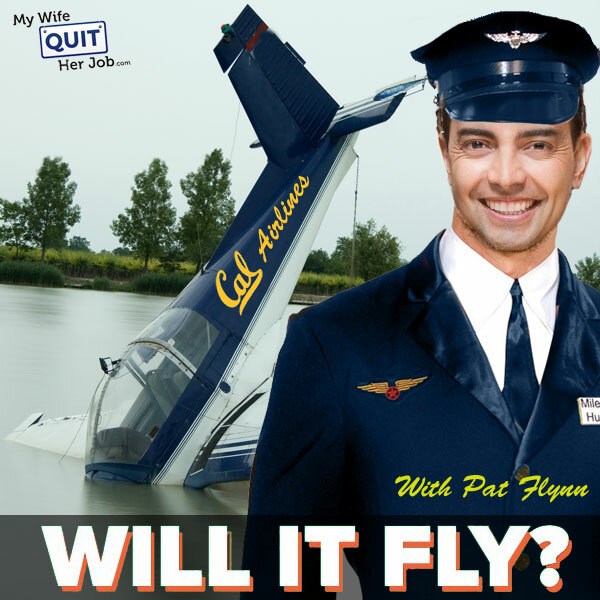 For example, I don’t think Pat Flynn will ever forget this super awesome cover I designed for his latest book, Will It Fly. 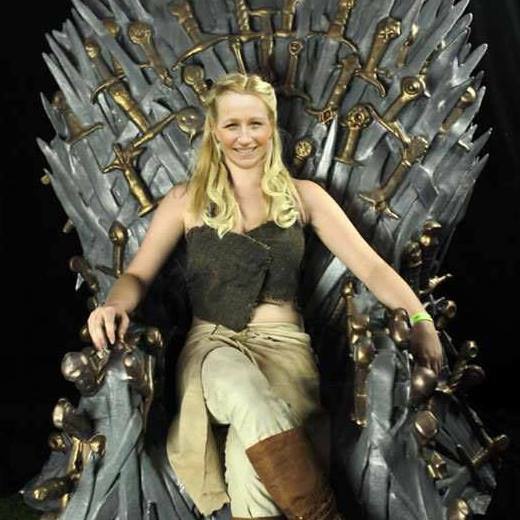 Erin Chase will always remember my depiction of her sitting on the iron throne of Westeros. In any case, if Adobe Photoshop is too intimidating for you, there are other tools available online that are much easier to use but have far fewer features. For example, Canva and PicMonkey are great tools for doing basic editing, cropping or adding text to your own images. Whatever you decide to do, make sure you learn how to use at least one of these tools. Most people who completely outsource their website design to a 3rd party inevitably find themselves heavily dependent on their web developer. For example just the other day, I had a reader frantically email me because her store just went live and she could not figure out how to add an extra hyperlink to her front page banner. I had another reader practically beg me to take a look at her site because her web developer introduced a pretty major bug on her cart but stopped answering her emails. I’ve even had colleagues make fun of me by asking me why I bother wasting my time learning basic web skills when I could contract everything out and focus on the selling process. But here’s the thing. If you are basing your entire livelihood on your website, shouldn’t you at least learn the basics of the technology behind your business? Don’t get me wrong, I’ve contracted out entire website designs to developers before. But I always make sure that I fully understand what they are doing. And this extra knowledge has paid off big time over the years. For example, I’ve been hacked a few times in my day and I was able to recover even though my web designer was unavailable. I am able to make minute tweaks to my site instantly without having to wait for help. Overall, it’s amazing how much more productive you can be if you just sit down and learn a few basic skills. You don’t have to become an expert. Just learn the basics and it will also help you become a better employer and outsourcer. Originally, this last skill was going to be about learning how to write effectively. But in this day and age, there are so many different ways to express yourself online that it doesn’t really matter what medium you choose. You just have to do one thing well. If you are good at writing, then start a blog. If you are great on camera, start pumping out YouTube videos or use Periscope or SnapChat. If you have a great voice but you’re shy on camera, then start a podcast! The key to being successful at any online business is to put yourself out there and start a following. Because throwing a bunch of random products on a website is just not going to cut it. If you can get people to like who you are, then the sales will start rolling in regardless of how much competition is out there. My blog is the perfect example of this. Do you know how many “Make Money” blogs are out there today? I would guess thousands if not tens of thousands. But the competition doesn’t matter because I’ve attracted a loyal audience. With my ecommerce store, we are constantly bombarded by new competitors entering our space. But we’ve established enough loyal B2B customers that we could make a living off of these customers alone. The secret to long term success for any business is to gain mindshare and to establish a deeper connection with as many customers as possible. So what’s the most effective way to do this? The best way is to focus on one medium, understand how it works, master it, and then re-purpose your content across as many platforms as possible. In fact, this is one of the goals for my blog this year. Right now I put out 1 blog post and 1 podcast episode per week but I’m currently doing a poor job of syndicating my content. Instead what I COULD be doing is taking that 1 podcast episode and putting it on YouTube. I could also take that same podcast episode, get it transcribed and edited and publish it as a standalone blog post. With the 1 article I write every week, I COULD be turning that into a Periscope presentation and putting it on YouTube. I COULD also re-purpose my weekly Periscope (follow me @mywifequit) and turn it into a blog post and a podcast episode. Anyway, you get the point. There are many opportunities for syndication where you only have to produce 1 piece of content and spread it everywhere. But content is where the magic starts! 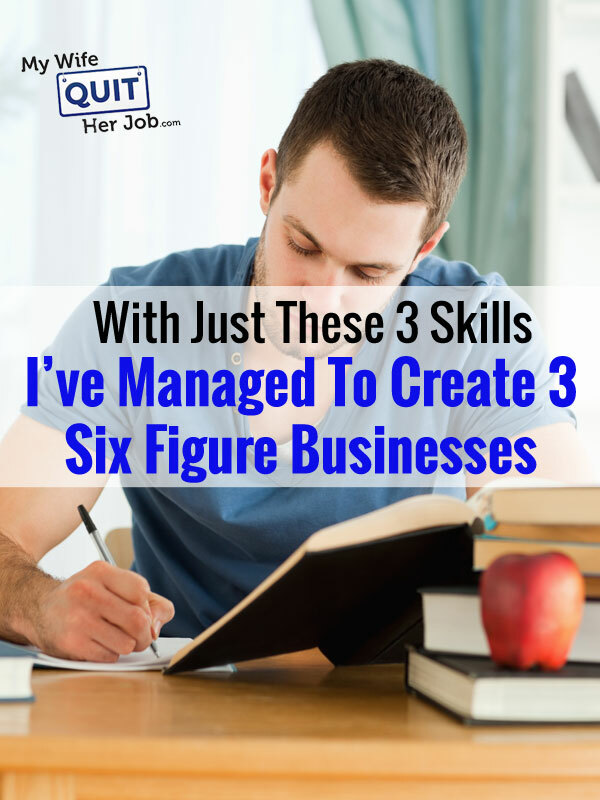 Overall, these are the skills that I rely on for all of my businesses. And while I don’t necessarily advocate the path of solo entrepreneurship, I do urge you to pick up some of these skills on your own because they will improve your chances for success. After all, there’s nothing wrong with outsourcing different parts of your business as long as you have redundancy. But often times as a small business owner, you need to be a jack of all trades in the beginning to grow as quickly as possible. The advice on being competent at basic HTML is really hitting home. I’ve just started my ecommerce store and any small change I want to make is impossible with no knowledge on HTML, and it’s definitely one of my goals this year. A lot of people completely outsource everything without any knowledge at all. I literally get emails everyday asking for help and referrals to developers in order to fix website bugs. The point about HTML is good – coding is a vital skill. These days it’s much easier to teach yourself coding – personally I found Code Academy pretty useful and also W3 Schools. There are so many great resources out there that self teaching coding is very doable. Code academy is great as is W3schools. Can you recommend any resources for learning Photoshop? What resource was the most useful? Thank you. Just buying Photoshop and learning it is the best. You can pay $9.99 a month with Adobe Cloud to use Photoshop. Also Lynda.com is a great source. I am a web designer and my business is built on these skills. Yet, if you have another specialty, it’s OK to hire help and just get big rates for what you do. A friend of mine who helms a digital marketing firm (currently working with four full-time employees and two/three freelancers) actually tells me the same thing I saw here- he doesn’t want a large team. He complains that a large team can never be cohesive. I was never convinced till today. Your post however is more convincing on that front! It doesn’t sound like you’re a solo entrepreneur. It sounds like you are part of a team and you severely undervalue your wife who “runs the day to day on your ecommerce site.” That seems pretty important. I assure you that I value my wife:). And I definitely don’t have a team though I’m working towards that as I expand further.